Welcome and an introduction to the forums! Welcome to our Epic Heroes web site and forum! 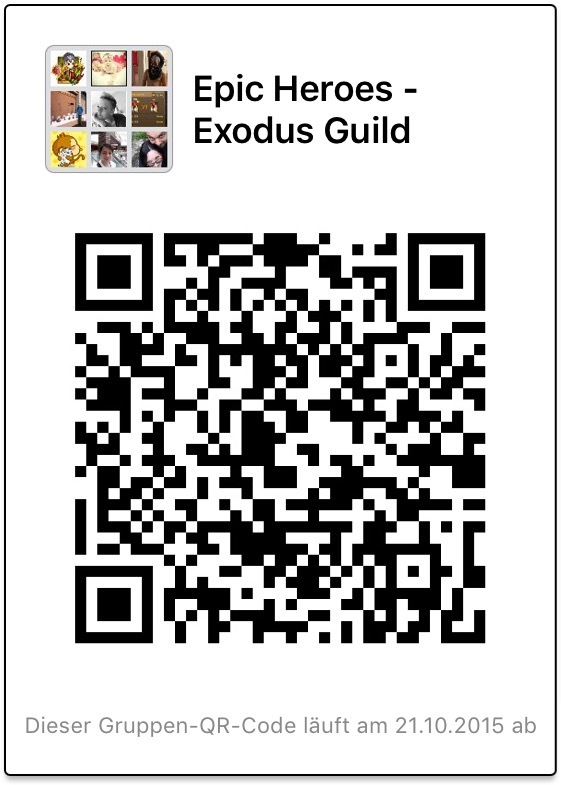 This site is run by Exodus Guild, playing on the Dark Hold server (iOS), but we operate it as an open resource for all Epic Heroes players. Everyone is welcome and we hope you find the information useful. You do not have to register to use this site but registering will get rid of annoying the banner ads as we have paid for these to be removed for registered users who are logged in. 1) Download the WeChat app from the Apple App Store. 2) Create yourself a WeChat account. 3) From within the WeChat app, scan the QR Code at the bottom of this message to join the group. 4) Introduce yourself to people, have fun and feel free to ask any game-related questions! IMPORTANT: If you are a younger player, please ask a parent/carer before joining chat. We'd be very happy to see you join but please get permission first! You do not have to be part of our guild to join our chat group. If you enjoy chatting about the game or you'd like to be able to ask for help when you need it, you're welcome to join. To scan the QR Code, open the WeChat app, tap 'Discover' at the bottom of the screen then choose 'Scan QR Code'. If you are doing this on a single device you will need to save the QR Code to Pictures on your iPhone/iPod/iPad first. If it does not work with the QR Code, add WeChat ID: Sun_EH (Astrid) she will help you to join. Re: Welcome and an introduction to the forums! 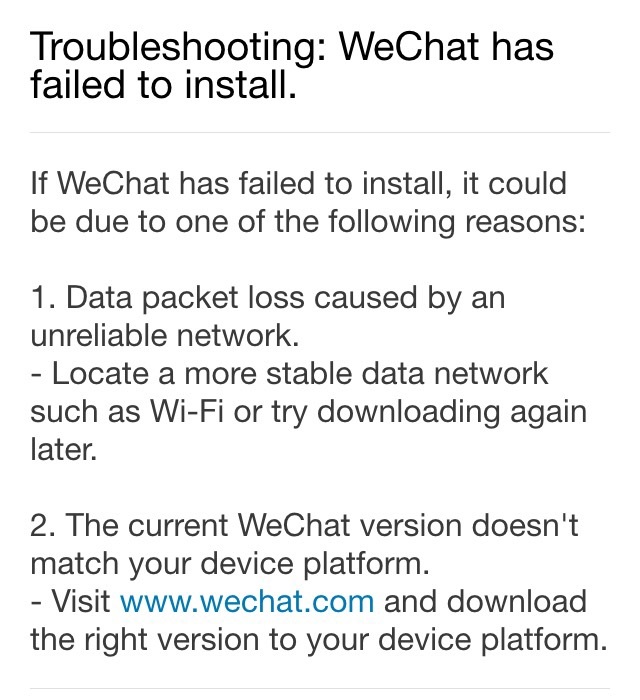 Problems with the App WeChat?